Do you need a new roof in Handsworth? Want Velux windows for your Handsworth home? At LRS Roofing, we can provide these services at affordable and competitive rates! Our reputation has been built up over many years of quality craftsmanship delivered by some of the best roofers in the Yorkshire area, so why not trust us and see just what we can do for you! We offer outstanding standards of workmanship and possess complete insurance cover, giving you peace of mind that your roofing work is protected, no matter what. Our specially trained roofers are all locally based, so wherever you are in Handsworth or Woodhouse, we are just around the corner. 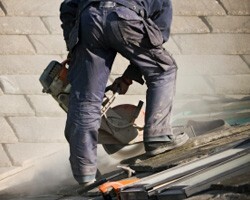 We will visit your property and give you a completely free estimate on all your roofing work. Our team of experts are waiting for your call. Ring 0114 304 9116.